Comparing the designs of the two products, there are a lot of similarities indeed, with identical layouts, except that Canon EOS M2 is made smaller and more compact than Canon EOS M. While a smaller body is usually a great thing, making the product even more portable and easy to bring around, some people tend to stick with a larger model in order to have a decent and sturdy grip. And actually, Canon EOS M indeed feels sturdier in the grip compared to Canon EOS M2. One thing that you should know that both products have similar image quality. Both are 18MP, though, indeed, Canon EOS M relies on Hybrid CMOS AF while Canon EOS M2 utilizes a newer Hybrid CMOS AF II. Nonetheless, the sharpness and details are similar; also the colors and dynamic range are quite identical. However, Canon EOS M2 indeed has a better autofocus (AF) system. Canon EOS M is not very good at dealing with low light situations and macro photography. This issue is fixed in Canon EOS M2, now featuring more focus points spread over a wider area. The AF system is also slightly faster, making it more reliable and versatile. In addition, Canon EOS M2 boasts a significantly lower shutter lag time than Canon EOS M, allowing you to snap another picture much sooner so that you don’t miss the crucial moment. For continuous shooting, Canon EOS M2 is also slightly faster than Canon EOS M though the difference is not very large – 4.6fps versus 4.3fps. Last but not least, Canon EOS M2 adds Wi-Fi connectivity into the deal. The product now allows you to control it remotely from your mobile device. Canon EOS M does not have such feature. 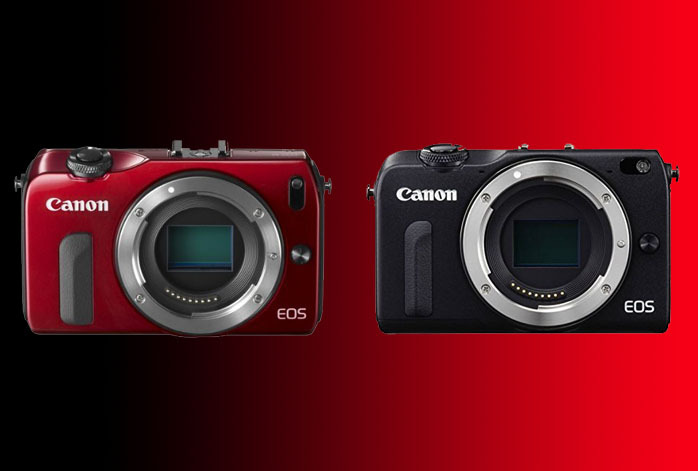 So, should you choose Canon EOS M or Canon EOS M2? Honestly, you will be more delighted by Canon EOS M2. The improved performance is very much beneficial in real-life usage. Besides, the Wi-Fi feature is a very convenient thing to be had.